I like to bake bread at home, especially when cooler days descend upon us after summer. I feel homemade bread represents home and family. Usually I bake something during weekend and I like to surprise my kids and my husband when they come home and aroma of the fresh bakes welcomes them into cozy atmosphere. I use recipes from the books or sometimes create recipes myself. I got very helpful book on my shelf named “Baking with Julia” by Dorie Greenspan. If you are interested in baking it is highly recommended. I use it often and inspiration for the challah bread on our table as well as many other delicious bakes comes from this book. Today I felt like baking with rye flour and thanks to “Baking with Julia” I got an amazing recipe of Pumpernickel Bread. It is dark and sweet bread with resilient texture of the best rye breads. The bread has number of non-traditional ingredients like chocolate, coffee, prune butter and molasses which produce beautifully browned crust with chocolate-colored crumbs and irresistible sweetness. I loved working with dough, it is nicely soft, alive and airy, it moves easily and it is not sticky. The shaping method is very unusual, and at first I did not make it right. I found the video after the bread has been already baked, so next time I will do it correctly. Still I have got delicatessen in my bread basket for dinner and breakfast and very happy family as a result. The bread is great with any cream spread and perfect for the open-faced sandwiches. 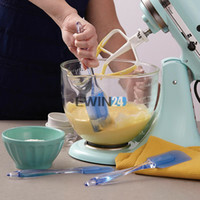 To set up: Brush an 8-quart bowl with melted butter and set aside to rise dough.Take out your pastry scraper, another large mixing bowl and a wooden spoon. To assemble dough: In a large mixing bowl, combine 1 cup warm water, yogurt, melted butter, shortening and molasses. Dissolve instant espresso in ½ cup boiling water and pour into a small, heavy-bottomed saucepan. Add broken chocolate and melt chocolate in espresso over very low heat until smooth, stirring frequently. Add to mixing bowl with powdered and whole caraway seeds. Dissolve yeast in ½ cup warm water with a pinch of sugar until creamy and pour into mixing bowl along with wheat bran and rye meal. Stir to combine well. Using a wooden spoon, briskly stir in enough bread flour, ½ to 1 cup at a time, until you create a mass that's not easily stirred, but not dry. Turn the mass out onto a floured wooden board and knead until smooth and elastic, adding only as much flour as necessary to prevent dough from sticking to your work surface and hands. In the beginning of the kneading process, this dough will feel quite "pasty" because of the rye flour. As always, use a pastry scraper while kneading to scrape dough off the board cleanly as you continue to knead in a sufficient amount of flour. To rise dough twice: When dough is smooth and elastic, place it in the buttered rising bowl. Cover bowl with buttered plastic wrap and a clean kitchen towel. Let rise in a draft-free spot until doubled in bulk, about 2 ½ hours. Punch down dough with several swift swats from the back of your hand to deflate dough totally. Turn over dough, cover and let rise again for 1 ½ hours. To set up for baking loaves: While bread is rising, position the rack in the second or third lowest shelf in the oven and, if using a sheet of quarry tiles or a pizza stone, place it on the rack. On the rack below this, place a heavy-bottomed, oven-proof pan, which will preheat along with the tiles. Sprinkle a baker's peel or a flat cookie sheet with cornmeal. Thirty minutes before the end of the rise, preheat oven to 450° F. If not using tiles or a stone, brush or spray 1 or 2 large (preferably dark steel) shallow baking sheets with vegetable oil and sprinkle interior with cornmeal. After mixing egg white and water, pour into a small medium-mesh sieve into another bowl to remove excess coagulation and any bubbles created while mixing. Place glaze next to your work surface. To slash and glaze loaves: Working with one loaf at a time, carefully release slings and gently turn out loaves from towels (smooth side up) onto the prepared baker's peel or baking sheet at least 3 inches apart. Use your hands gently to plump loaf into a neat shape. Using a sharp serrated knife or a razor, slash tops of each loaf three times horizontally, going 1/3 inch deep into the dough. Using a pastry brush, paint tops and sides of loaves (excluding slashes) generously with glaze. To bake loaves: Just before inserting the dough into the hot oven, carefully pour ¾ cup warm water into the pan beneath the rack used to bake the loaves, then shut the door while you go get the loaves. If baking with tiles, insert the peel all the way to the back of the oven and with one swift jerk pull out the peel, leaving loaves on the hot tiles (preferably with three inches between them). If not using tiles or a stone, place loaves into the hot oven on their baking sheets as directed. Bake loaves at 450° F for 10 minutes. Reduce heat to 350° F and bake for 30 minutes. Remove from the oven and place on wire racks to cool thoroughly before slicing, 2 to 3 hours. The prune puree and yogurt are used strategically to keep these loaves extra moist and tender (and their taste is not detectable). I substitute the prune butter with plum jam. Still Life with Pumpkins - Autumn Collection Baked Goldfish Pumpkin Chips - for my Sweet Children! Beautiful loaves! They looks ever so tempting and flavorful. I often want to stand up and bake what you have just baked..like this..now..
Love bread and you are right..there is a heart..and a cozy feeling to a home baked bread in a home. Dear Monique, I did not have prune butter also, but I used plum jam-)) I think if you have prunes you can make the butter yourself. Let me know if you will bake the bread! Such a rustic looking beautiful loaf of bread.. I also like baking bread at home – the aroma is out of this world! I loved you clicks and props. O yes, Shema, the aroma was out of this world indeed, combination of the coffee, chocolate and molasses was outstanding!